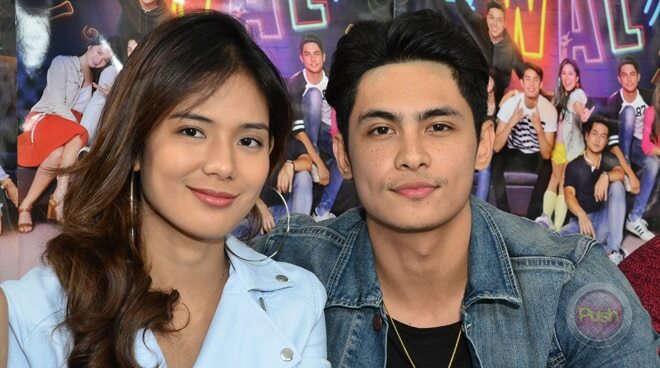 Kiko Estrada has been constantly plagued with questions about what’s keeping him from pursuing his onscreen partner Devon Seron. And for the longest time, the Kapuso actor has finally cleared out the rumor mills during Walwal's blogcon, detailing out why he values what he and Devon have right now. “There are some people that you want in your life so you won’t like mess things up so Devon’s like one of those people. I mean like there are some people in your life that you know that you work with so well and you respect them as a whole and then parang ayoko lang din sirain kung ano man ang meron kami,” he explained. “So maybe, we’ll take things slow, you know? I mean like I really wanna get to know her and she’s really a good person and she deserves the best. And I don’t think I’m good enough at this moment. She deserves the best,” he added. “Sayang kasi what you see on screen, what we have. I don’t wanna ruin that. Aalagaan ko talaga ang mga tao na importante sa buhay ko,” he continued.